We have officially moved into our new Fire Station and are extremely grateful to everyone who donated and continues to support us in our pledge to protect lives and property. This year we are aiming to upgrade to our current slip on appliance and again we ask for your support to help us raise the funds required to assist in the purchase of an upgraded vehicle and equipment upgrade for the new vehicle. 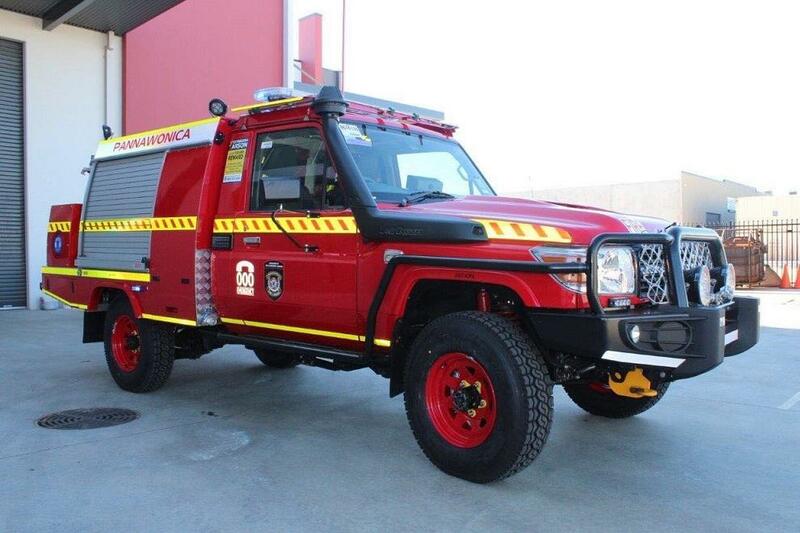 'Slip-on' or Quick attack vehicles are used in built-up areas to provide a quick initial firefighting response. They have a small tank (500 to1500 litres) and pump and are especially suited for hard to access areas. We use this vehicle in conjunction with our large appliances and find it to be a particularly useful member of our team.